Andy Shaw with his first Tench; 1.66kilo. Spent the evening at Dammtorp with Andy Shaw. 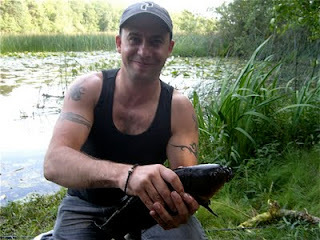 We float fished with gilthead worm and sweetcorn as bait, always a good bait. 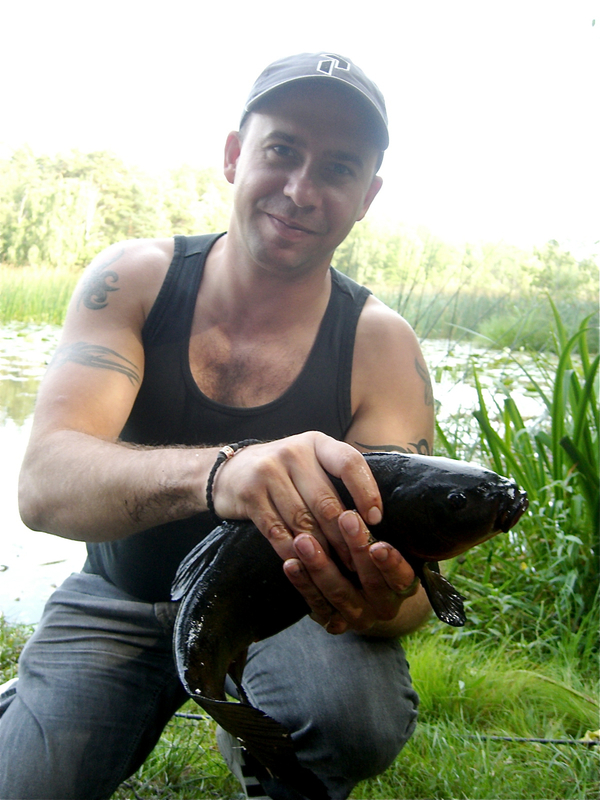 At about 4pm Andy got a small Ruud, before losing a good fish, almost certainly a Tench. A while later Tench bubbles fizzed about his float, before it sailed away. The fish gave him a great fight before we slipped the net under it, a long female fish that weighed 1.66kilo despite having just spawned. This was Andy's first Tench and he was well happy with himself.